As many of you may have noticed, the body is a large canvas! Mehndi artists enjoy looking at traditional mehndi designs for inspiration and often mix motifs in order to get the results the client would like. We would like to discuss the differences and similarities between these designs and hope that you can find some inspiration from these images we found on the Internet! First up we have some traditional Indian mehndi. It�s common to apply mehndi for bridal ceremonies to all the women involved, but the bride of course, receives the most intricate designs on both hands and feet. 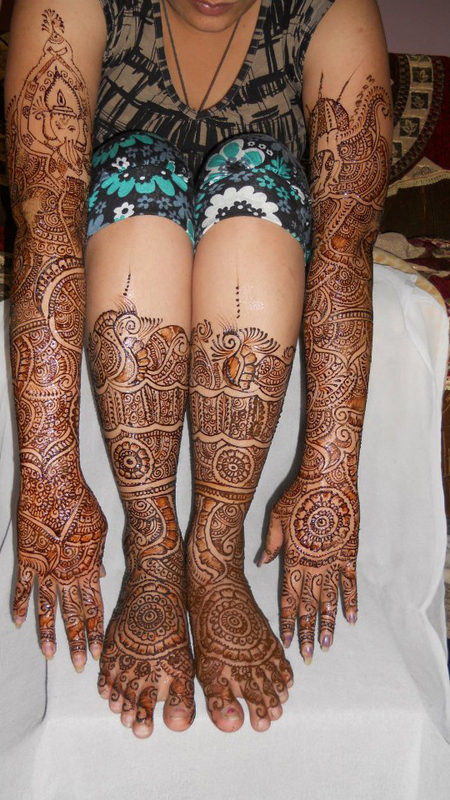 Traditionally, the mehndi designs are so heavy that the bride appears to be wearing gloves and socks! 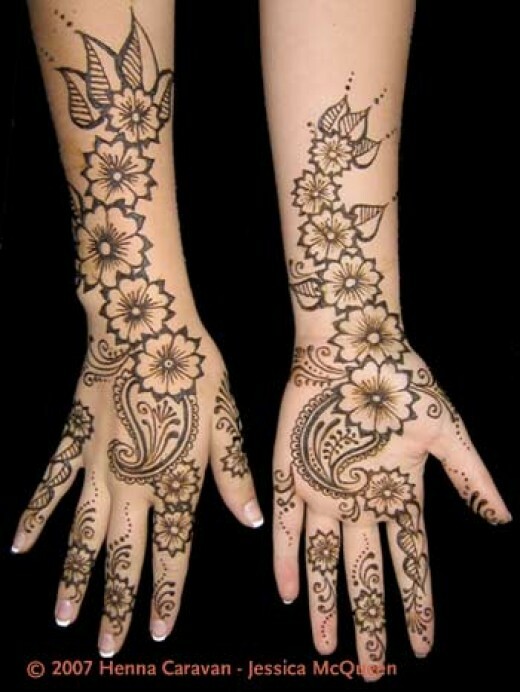 The traditional Indian mehndi designs are very delicate and often mimic lace. A steady hand is needed and is applied with small tipped cones or squeeze bottles in order to achieve these detailed designs. 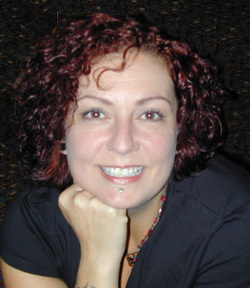 It�s common that two or more people apply the mehndi and can take hours to complete. An example of traditional Indian mehndi can be seen on the left. A modern take on these designs is to add a crystal accent that can be applied with eyelash glue, or a layer of glitter glue that also acts as a seal around the dried henna paste. Arabic Mehndi utilizes negative space. Each culture uses motifs that reflect their culture and heritage; you may catch a mixture of motifs however, because all of these cultures influence each other. One of the motifs you may notice in Arabic mehndi is the use of floral patterns and nature-inspired images like vines and leaves. Mehndi is applied for celebratory occasions; the most decadent designs can be seen for weddings and for the celebration of Eid al-Fitr, the breaking of fast after Ramadan. Here is an example of Arabic Mehndi on the right. Moroccan Mehndi is typically characterized by the use of geometric shapes and patterns, and straight lines that vary in width. Some further distinctions would be the difference between North and South mehndi. North mehndi mostly used straight lines and is very angular. South Moroccan menhdi uses some curves and floral motifs, but still generally incorporate geometric design. This style of mehndi is the current trend within the states, and can be seen on textiles, jewelry as well as modern mehndi designs. Here you can see that Moroccan mehndi also uses negative space. 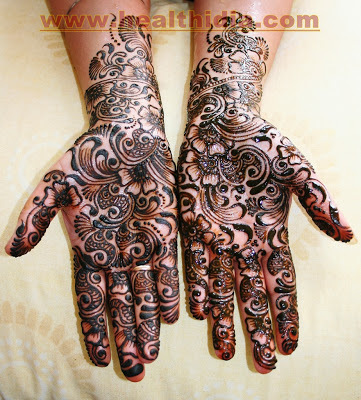 Indo Western Mehndi is a mixture between west Asian and south Asian styles of mehndi. These motifs are mixed and matched to create the newest and modern mehndi patterns. Indo Western takes symbols from these regions (for example, the ohm shown here on the inside of the palms) and both motifs and characteristics to create a hybrid style that can be enjoyed by anyone. In this photo you will see the negative space of the canvas being utilized, and the positive space is filled with small intricate patterns. *Please note that all of the images were sourced from Google. We do not take ownership of any of these designs; we are simply admiring these artists� fabulous work!